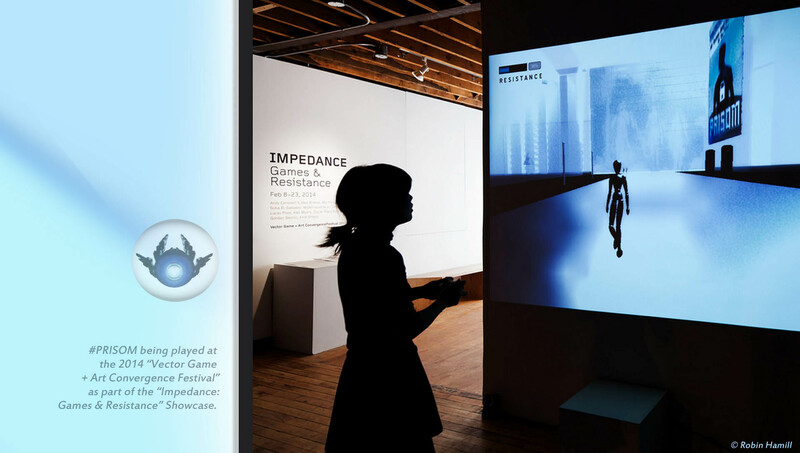 #PRISOM is an anti-surveillance game which premièred at ISMAR 2013, in conjunction with the SA University's Wearable Computer Lab and the Royal Institution of Australia. Project Platforms: Browser, PC, Mac, Linux, Heads Up Display Unit. Primary Roles: Lead Writing, Co-Production, Co-Direction, Audio, Graphic Design, Game Design. Original Concept: Mez Breeze Design.